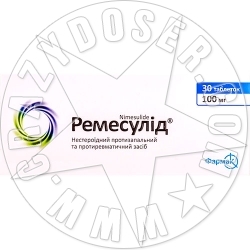 REMESULID - NSAIDs of the methanesulfonanilide group, has an anti-inflammatory, analgesic and antipyretic effect. INDICATIONS : Treatment of acute pain. APPLICATION : It is recommended to eat after eating. 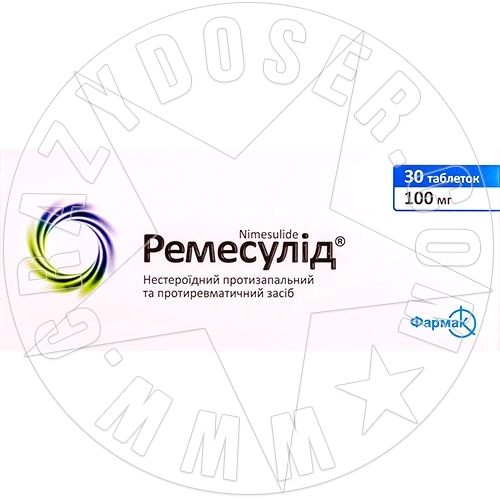 The maximum duration of treatment with Nimesil is 15 days. 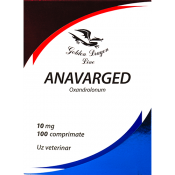 For Adults 100 mg of nimesulide (1 TAB) 2 times a day after meals.